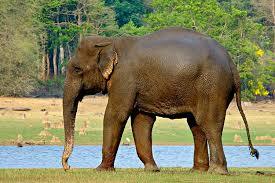 An Indian elephant. Source: wikimedia commons. I was very concerned to read in the Herald that, after importing another elephant, Anjalee, to accompany Burma at great expense, the Auckland Zoo is still talking about an elephant breeding programme “to build up to a herd of nine or 10”. ‘Plans were approved in August this year  to expand the elephant enclosure at Auckland Zoo to six times its current area. The importation of another 9 elephants to join the current sole occupant, Burma, would make this the only elephant herd in Australasia. The planned extension into Western Springs Park is estimated (by many accounts, unrealistically) to cost $13 million and the zoo plans to expand into 22,000 square metres of the park. The National Animal Welfare Advisory Committee’s Animal Welfare (Zoos) Code 2005, provides that ‘the behavioural and social needs of the animal, including any instinctive behaviours (e.g. arboreal or nocturnal), requirements for space (e.g. maintaining a territory), and opportunities to interact with the environment (e.g. enrichment), other species, and humans (e.g. keepers and the public)’ (p4) are to be taken into account. But it is inescapably true that being kept in any artificial enclosure is physically and psychologically damaging to elephants who are highly intelligent, have complex social systems and range over huge distances, spending most of their days walking. In the SAFE submission, a telling comparison is made between the median ranging area for an adult male elephant (246.3 square kilometres), a group herd (113 square kilometres), and the planned Auckland enclosure (0.024 square kilometres). So, elephants kept in Auckland will be prone to the typical afflictions of captive elephants: obesity, foot and joint problems, and behavioural issues stemming from confinement, lack of mental stimulation and a probably dysfunctional social grouping of randomly-assembled animals. This entry was posted in Auckland, auckland city council, Auckland Council and tagged Anjalee, Auckland Zoo, breeding, Burma, elephant, Western Springs, Zoo. Bookmark the permalink.